Released 27 April 2019. Order Storm Boy now to secure your copy at this special price. 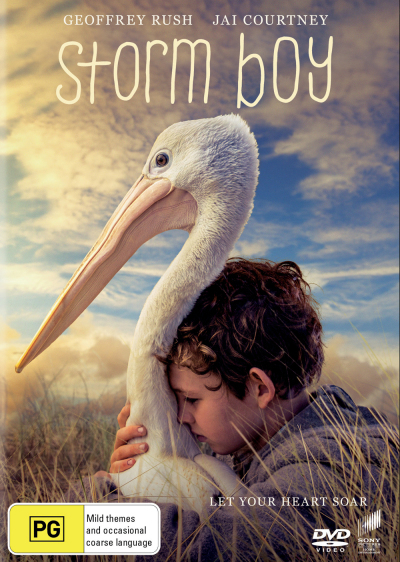 The Storm Boy DVD is the 2019 movie after we all remember the 1976 classic with Mr Percival the pelican who is apart of every Aussie kid's memory. Storm Boy has grown up to be Michael Kingley, a successful retired businessman and grandfather. When Kingley starts to see images from his past that he can’t explain, he is forced to remember his long-forgotten childhood, growing up on an isolated coastline with his father. He recounts to his grand-daughter the story of how, as a boy, he rescued and raised an extraordinary orphaned pelican, Mr Percival. Their remarkable adventures and very special bond has a profound effect on all their lives. Click the button below to add the Storm Boy (2019) to your wish list.